Stunning children’s portrait photography – from newborns to teenagers! 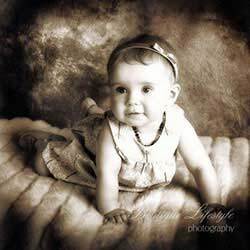 Children’s portrait photography at Boutique Lifestyle Photography offers you the opportunity to create beautiful, emotive and timeless images of your little loved ones, no matter how grown up they think they are! These special moments will provide you with cherished memories that you can look back upon fondly for the rest of your life! We have compiled 10 awesome reasons to book your kids photo shoot below. From toddlers to teenagers, now is the perfect time to book your session with us. 1. Your kids grown up so fast! Each and every stage of their development is unique, so be sure to capture it before they’ve grown up and changed yet again. 2. Rather than quick ‘snaps’ on your mobile phone, our in-studio professional lights and setup allows for the creation of sophisticated and beautiful images. These will stand the test of time, proudly displayed upon your walls for many years to come. 3. We relate very well with kids of all ages, ensuring that they instantly feel relaxed which is then evident in your portraits. 4. Our stunning presentation options are perfect for proudly displaying around your home. Irrespective of your living arrangements and the amount of space you have available, we have options to suit all budgets and spaces. 5. Our post production retouching completely transform your portraits into a new realm of creativity, leading to the creation of artistic and eye-catching photographs that are simply not available through basic ‘point and shoot’ cameras and phones. ts or relatives, look no further than some beautiful portraits of your kids! There is nothing more personalised and treasured as great shots of your loved ones. 7. Our team specialise in capturing images as you envision them. Whether you want portraits that are more traditional and formal, or perhaps playful and casual shots, we have what it takes to create just the right atmosphere and capture these special moments. 8. Children and kids are only young once! Now is the perfect time to create these memories before it’s too late! 9. If you are unsure of posing or concepts, our talented team is full of great ideas that we are happy to assist you with. Most people don’t know how to naturally pose, so we are more than happy to help! 10. During your photo session you are welcome to add your creative input to ensure you are more than just satisfied with the end result of your portraits. We love working with people who have their own ideas and concepts. If you have any enquiries regarding our Auckland Children’s Photography service please feel free to contact us and we will be happy to assist you. Bookings are available Monday through to Saturday by appointment.